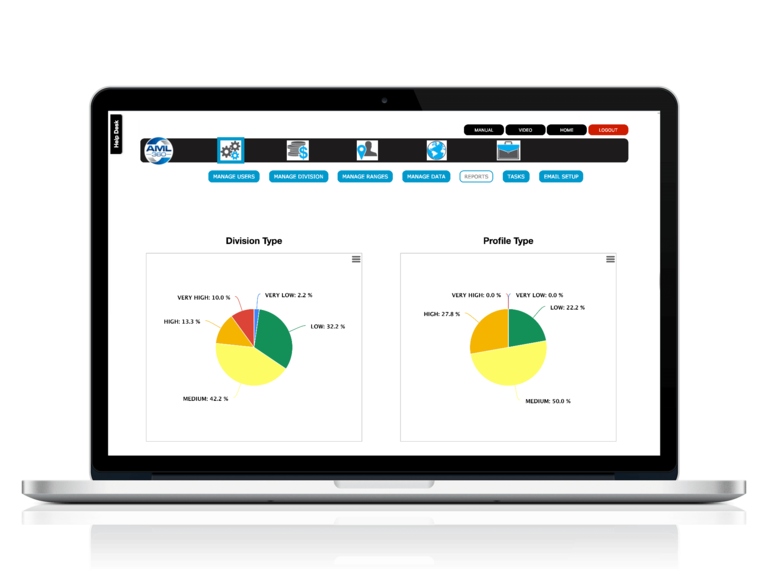 Your AML360 dashboard incorporates client profiling and includes drill-down filters, heat maps of key risks, as well as client profile reports and a case management register. 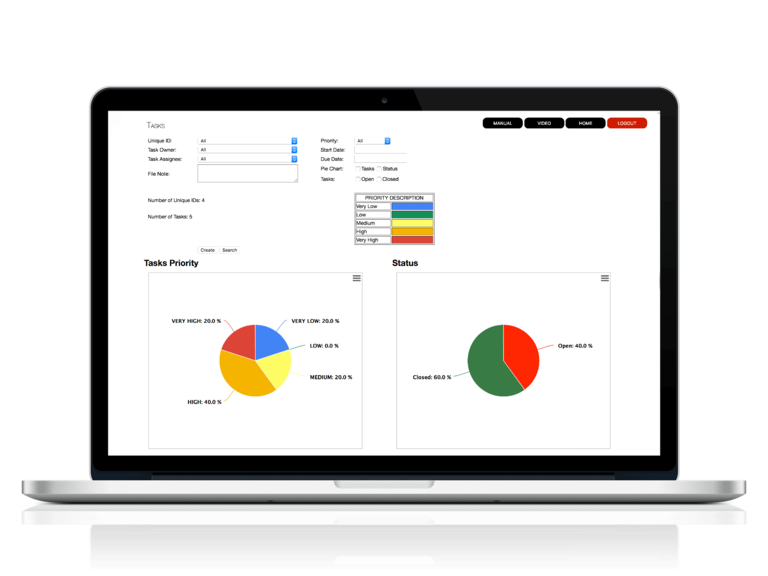 You can quickly identify the risk status across your entire client base through a single mouse click. The software is fully tailored to meet your requirements. Your AML Supervisor expects greater resourcing commitment to higher risk customers. We make that easy to achieve. 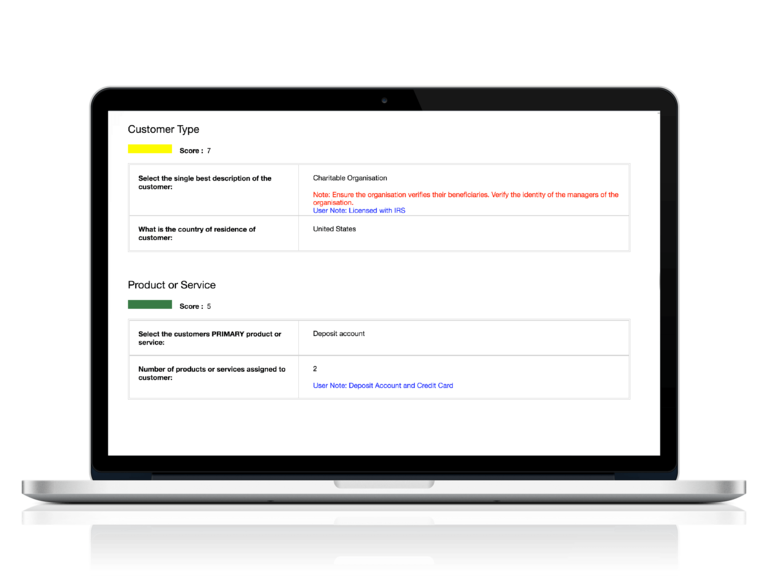 Heat maps provide a snap shot status of the risk position across your entire customer base. 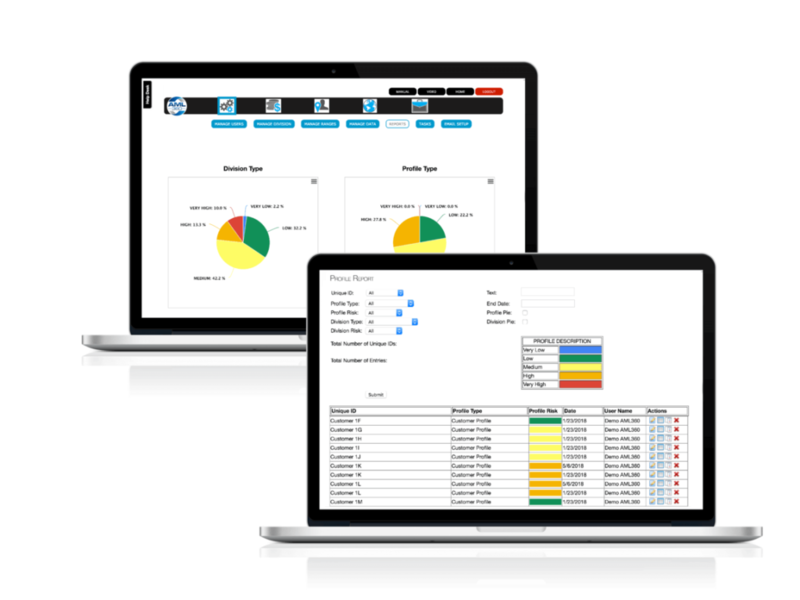 Print to PDF for management reports. 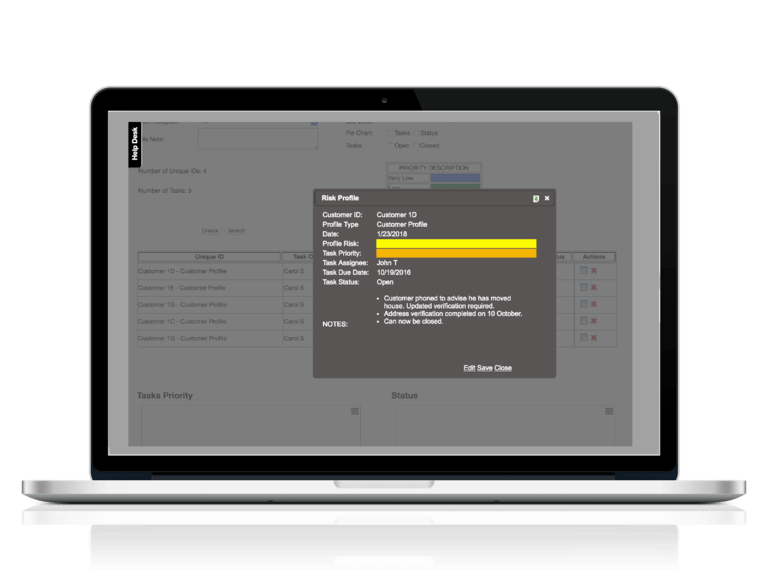 Profiling allows all required risk data to be communicated to your AML Compliance Officer. This aids ongoing due diligence and monitoring. Profiling updates can be executed through a single click, then press 'Calculate'. The former data and new profile are included in the risk register. Using the Unique ID option, fully protect client data. This ensures no accidental privacy breach and retains business confidentiality. 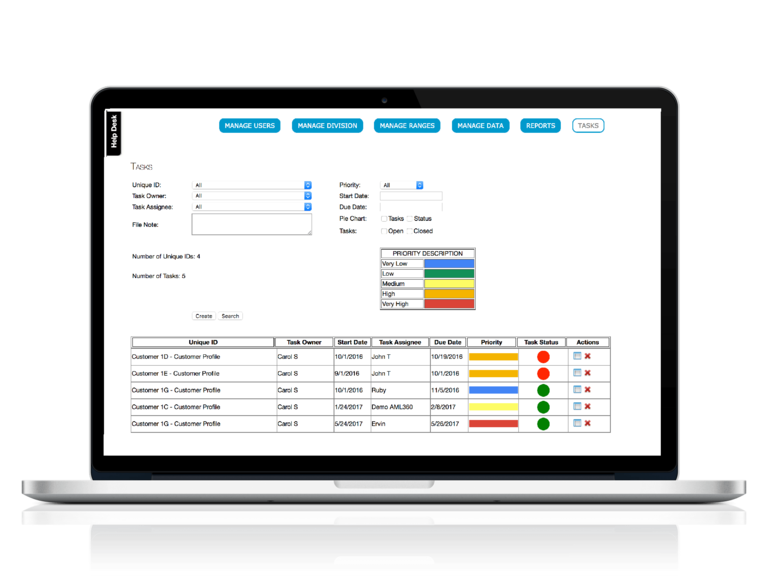 Your client profiling dashboard includes a case management register from where you can set task actions and priority levels. 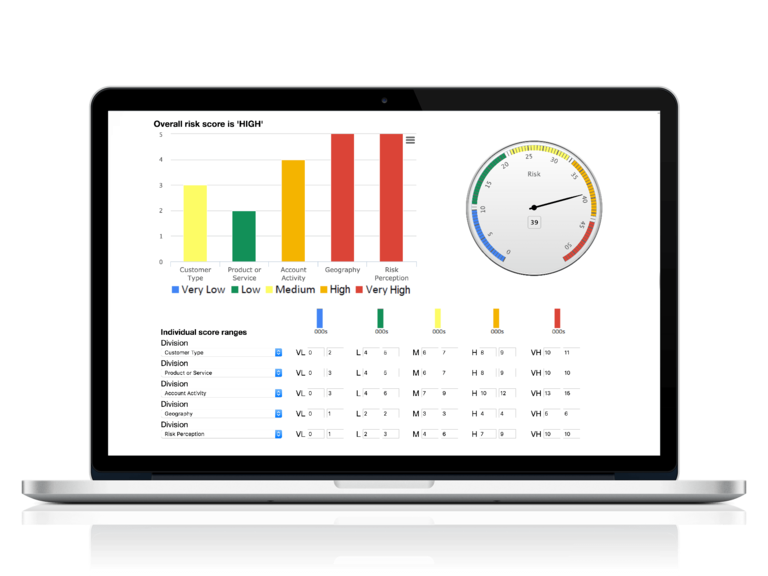 Client profiles include a heat map and an overall risk score. Any type of key risk indicator can be applied to the profile. This system is designed to be fully tailored to your requirements. Profiling reports provide the risk level and score for each key risk indicator, as well as ‘red flag’ notifications. Additional information can be included to ensure your AML compliance officer has readily available data at their fingertips. 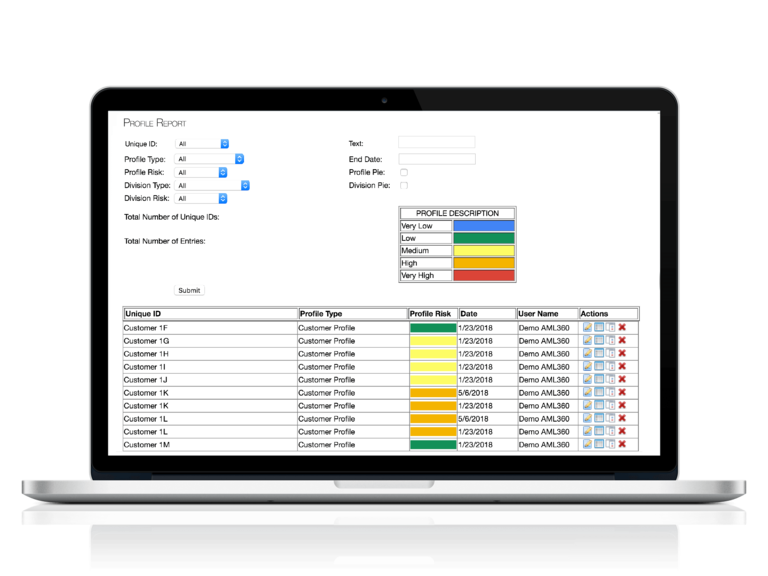 The client profiling register displays summary data of risk ratings. From here staff can use the drill-down filters to analyse across the customer database. Clicking on the report icon will display the full customer report. This data is required for ongoing due diligence. Heat maps give a snap shot status of risk position across the entire client base. Heat maps include Key Risk Indicators, as well as overall client risk profiles. The heat maps can be printed to PDF for senior management reporting. A separate case management register is available for setting task actions, along with a date deadline, priority status and assignment to a responsible person. Track and monitor. This register can also be used as reminders to update expiring identity records. Your case management register includes a snap shot of the number of cases open and closed, along with their priority status. This information makes it easy to keep on top of administrative functions. Maintaining pertinent data relevant to your client’s nature and purpose of business is a regulatory requirement. AML360 software ensures you can evidence to your auditor and AML Supervisor that ongoing due diligence has been met.